In a statement by Rev. Joseph M. McShane, S.J., president of the university, the administration reversed its decision to bar student volunteering in Murray-Weigel Hall. 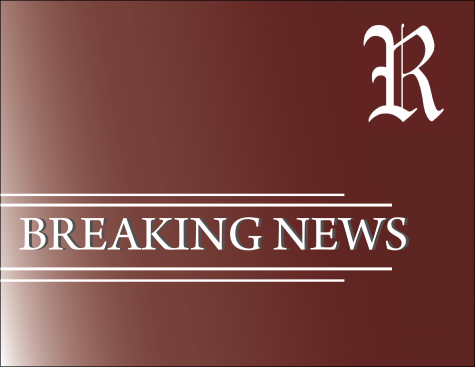 McShane said he made the decision to allow students on the premises based on the assurance that all Jesuits living in Murray-Weigel are not “restricted,” and are therefore completely free and innocent of any accusations of abuse. 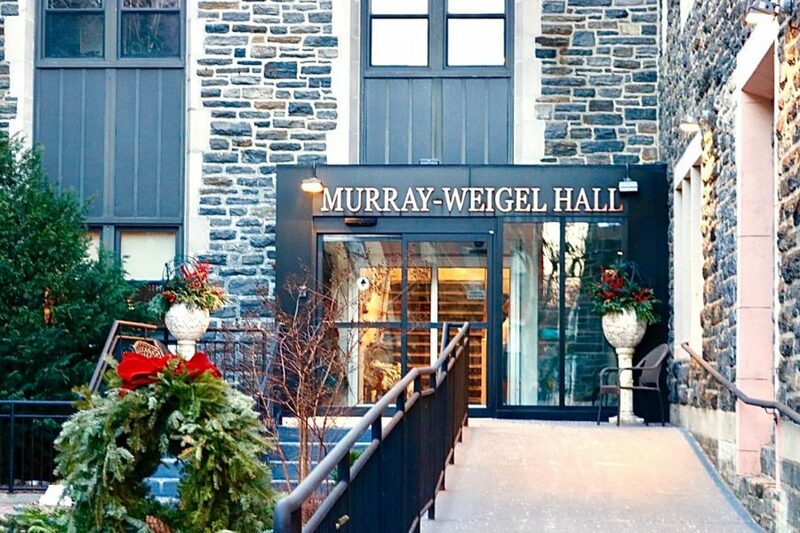 Bob Howe, director of communications for the university, previously said the university never had control over Murray-Weigel Hall or a regular flow of information concerning its tenants and any allegations of misconduct that may have been made against them. However, some abuse cases that involved priests at Fordham have gained national attention. Rev. Roy Drake, S.J., was previously a science teacher at Fordham Prep in the late 1960s and then lived in Murray-Weigel Hall from 1994 to 2006 according to bishopaccountability.org, a website that tracks and records credible incidents of clergy abuse. Drake was accused of molesting the friend of a Fordham Prep student while on a ski trip in 1968. 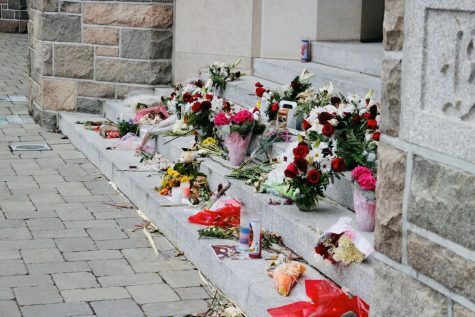 Drake lived in Murray-Weigel Hall until 2006, when he was transferred to a treatment center for troubled priests. His history of abuse has been documented both by The Ram and The New York Times. In response to questions on the university’s ability to identify alleged abusers living in Murray-Weigel whose cases were well-documented, Howe said the university could have done more and the situation has been corrected. “Was the university as rigorous as it should have been in tracking who was housed in Murray-Weigel, and of their histories? 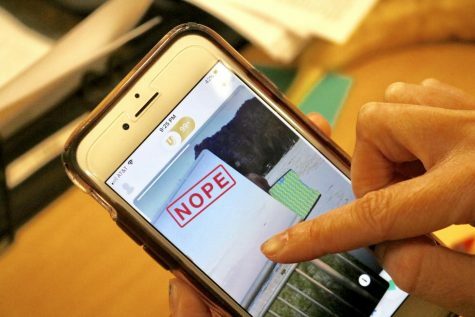 Unfortunately, we were not and we are horrified that Jesuits against whom there are credible allegations of abuse were in such close proximity to our students,” said Howe. 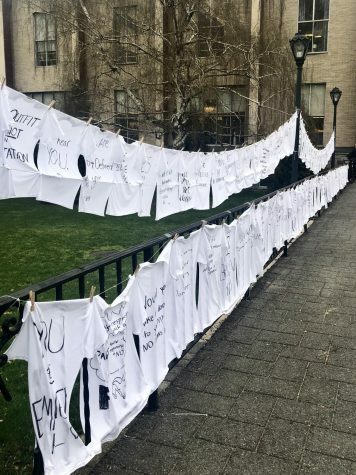 Prior to the removal of alleged abusers, The Ram found there were three priests living in Murray-Weigel Hall in 2018 with credible allegations brought against them. These priests were not listed in the Feb. 12 statement or in the university-wide email sent on Jan. 15 by McShane and Robert Daleo, chairman of the board of trustees, that detailed names of priests affiliated with the university who have been credibly accused of sexual abuse. 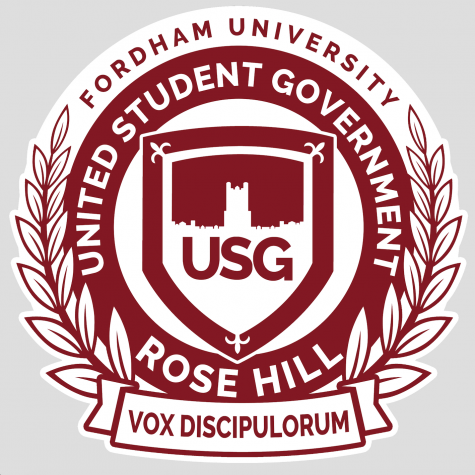 Howe said since the three priests were never assigned to the university or Fordham Prep, they were not included on the Jan. 15 list. 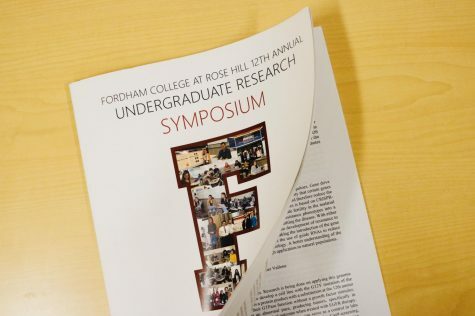 “We used the lists from the Northeast and other Jesuit Provinces to compile our list of Jesuits against whom there were credible allegations of abuse of minors and who, over the past six decades, were assigned to the university or Fordham Prep,” said Howe. Of the 72 priests listed in the 2018 Jesuit catalog, Rev. James C. Gould, S.J., Rev. William Scanlon, S.J. and Rev. Thomas Denny, S.J., had credible allegations brought against them. According to the 2018 catalog, which details the names of Jesuit priests, their dates of birth, when they entered and left the Society of Jesus and where they live, Gould lived in Murray-Weigel in 2018 and served as assistant to the database coordinator for data management and assistant to the archivist. Allegations were brought against Gould when church records obtained by WKBW revealed the diocese has known about Gould’s alleged abuse since 2012. Gould did not comment and directed The Ram to Michael Gabriele, director of communications for the Northeast Province. Gabriele did not respond to The Ram’s requests for comment. Scanlon served as the chaplain at Murray-Weigel Hall according to the 2018 catalog. He is pictured distributing communion during Mass at the New York Province Health Care Center in the Bronx in a Fall/Winter 2010 issue of JESUITS magazine. According to WKBW, he allegedly abused minors from 1985-94. Scanlon did not respond to requests for comment. Rev. Thomas Denny, S.J. was accused of abusing minors in separate cases in the 1960s and the 1970s, according to WBFO. The accusations were found credible after investigations in 2002 and 2012 respectively. Denny did not respond to requests for comment. 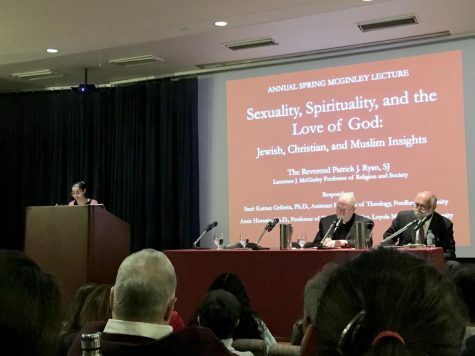 According to Therese Fink Meyerhoff, director of communications for the Central and Southern Province, when Jesuits are removed from ministry after credible accusations of abuse, they are placed on a safety plan, which means they live in a Jesuit community under supervision. Those decisions are made by the province of which they are a member. Gabriele verified that any Jesuit with an accusation of sexual abuse against them is immediately pulled from ministry during the investigation. “Those with credible or established allegations who are on Safety Plans reside in a strictly monitored environment,” he said. The Jesuit Order detailed these safety plans in a frequently asked questions document that specifies priests with credible allegations against them will avoid contact with minors. Rev. Lito Salazar, S.J., executive director of campus ministry, said that the decision to reinstate the volunteer program and allow Murray-Weigel’s residents access to the university campus will help to heal in the wake of clerical abuse allegations. McShane said the university’s main concern remains the victims and survivors of clerical abuse.